Growers and staff are reminded that any data or information they provide remains strictly confidential and will not be available to peers or other organisations. Instead, the data will be aggregated with other businesses, and presented as an overview of the industry. 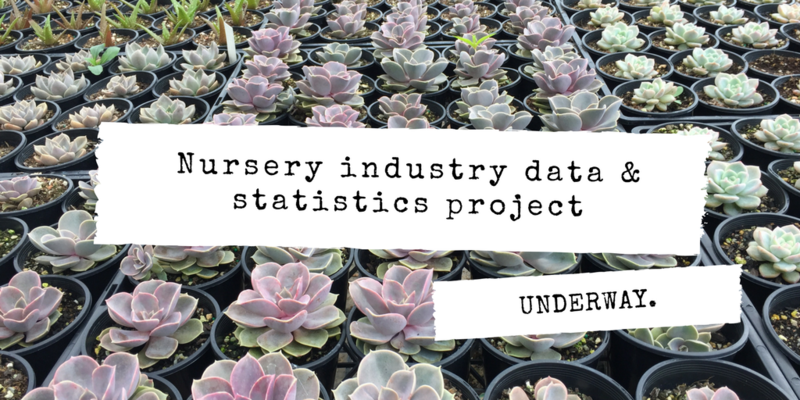 Now in its second year, the nursery levy funded project aims to address data gaps in the nursery industry and equip businesses with a better understanding of their industry’s economic, social and environmental contribution. The project will run for three years to show trends at different points in time. This phase of the project will run for three years to build longitudinal data for the nursery industry. Additionally, the project will deliver an updated benchmarking data tool which allows businesses to plug in their own key data points, ranging from wages to sale figures, and compare their performance against other nurseries of a similar size, confidentially and anonymously. Survey calls are already underway, with many more to go. Nursery & Garden Industry Australia (NGIA) is encouraging growers who receive the request for data to participate, to ensure the project is large enough to make it of real benefit to all of industry. Nominate the best person in your business to respond to the survey. Allocate a set day and time to respond to the survey – and put it in your diary. Know what information you are being asked to provide and have it in front of you before you start the survey. Keep your data in a secure place – it will come in handy down the track! If you have any questions about the project, including how you can get involved, please contact Kobie Keenan at NGIA on 02 8861 5100 or by emailing stats@ngia.com.au. On behalf of NGIA and the project team, thank you! Your contribution to this survey helps develop better and more reliable data for the industry, now and into the future. Stay tuned for more updates early in 2019. Watch latest case study on Joel Vanderuit to learn more about this project, here. « Improving your Plant Life Balance: A marketing update	» The application deadline for 2019 Hort Masterclass has been extended!